The new standard in mountain riding, the EPIC 280 makes use of Camso’s unique, deep cup lug design to extract every ounce of traction in deep snow. Its lightweight design strategically positioned support columns and balanced 6-pitch lug sequence ensures the right combination of grip and floatation, while optimizing the track speed and reducing vibration. To watch Martin turn his mountain adventure into an EPIC ride, check out this video: https://youtu.be/oO8HldZixJ0. For a more utility-based track that still packs a bite, the Camso ICE Cobra WT 150 comes pre-studded from the factory for superior traction in icy conditions. Its wide footprint and thinner paddles also help improve traction in loose snow, making it an excellent choice for a wide variety of conditions. 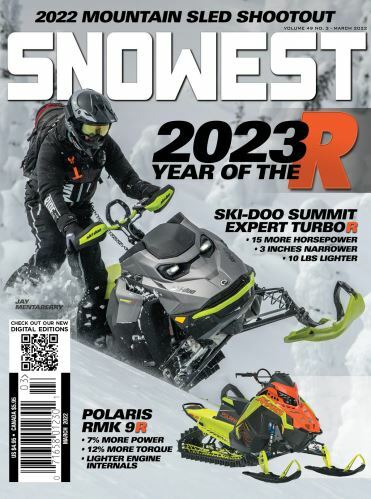 Utility workers looking to work harder with their snowmobiles will be pleased with the ICE Cobra WT 150’s ability to pull various loads on different ice surfaces. Riders will be able to check out the new EPIC 280 and ICE Cobra WT150 tracks at their Camso dealers in August 2019. More details about track lengths are available on Camso.co.